Picking a fund, or a trust, in which to invest is one thing, pairing it with complementary investments in a portfolio is quite another. The start of 2018 has been quite turbulent, so we take a look at how combining absolute return funds with higher risk growth options can lower overall portfolio volatility. In this lower risk combination, the Fidelity Special Values trust exposure provides the all-important growth potential. The manager invests in UK companies and, notwithstanding the short term uncertainty of the Brexit negotiations, the UK stock market is now offering exceptional value for investors who are prepared to take a long term view. The Old Mutual Global Equity Absolute Return fund will provide investment opportunities on a global basis but with much reduced volatility, as the manager is able to go long and short stocks. 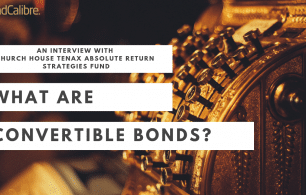 Church House Tenax Absolute Return Strategies is a multi-asset fund that has a sharp focus on risk and an average volatility of just 27% of that of the FTSE All Share index. In this portfolio the T. Rowe Price Global Focused Growth Equity fund provides the growth element. It has a wide investable universe and, as a result, will only invest in companies where the manager has the highest conviction. While it has made handsome returns for investors, owing to its focused nature, it is a higher risk fund. So, to reduce the risk, I’ve suggested including Brooks Macdonald Defensive Capital and Jupiter Absolute Return. 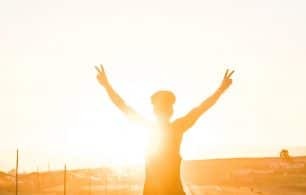 Both of these funds aim to achieve positive returns regardless of market conditions but with much less volatility than traditional stocks and shares. The Jupiter fund in particular is a very defensive play, especially in the current market conditions where volatility has increased. The engine of this portfolio is Scottish Mortgage Investment Trust. The managers invest in stocks on a global basis and take a very long-term view. They look for businesses with clear and distinctive advantages that enable them to continue to grow in the long term. They also have the ability to invest up to 15% of the portfolio in unquoted stocks. An example of this would be Spotify, which is looking to IPO later this year. The other two funds are used to complement the Scottish Mortgage Investment Trust by providing the portfolio with protection on the downside and reducing the overall volatility to an acceptable level. Both are long/short UK equity funds. After a long period of time when quantitative easing has distorted markets and led to good and bad companies moving in the same direction, stock dispersion is finally on the rise, which means the opportunities for these two funds to make money from shorts is also increasing.